The first thing you can try to increase a WiFi signal is to move the laptop computer or mobile device closer to the source of the network that is being accessed. If you have control over the router of the network, you can increase the wireless signal by placing the router on a high area such as a counter or desk rather than have it sitting on the floor. You can also increase the signal by pointing the router’s antenna in a certain direction or placing the router itself in a more central location. If you don’t have control over the router, you can still increase your wireless signal by using one of the following methods. Another method of increasing a WiFi signal is by bypassing the laptop’s internal WiFi adapter and replacing it with a more powerful external adapter. This makes a big difference because the built-in network adapters that come with most laptops are not made for long-distance use. That means that even if the router is capable of broadcasting signals to a certain distance, the wireless adapter may not be powerful enough to receive those signals. There are, however, other wireless adapters that are made to provide the user with a long range. Sometimes, even with a proper wireless adapter, the router may still not be strong enough to broadcast signals as far as the user would like. 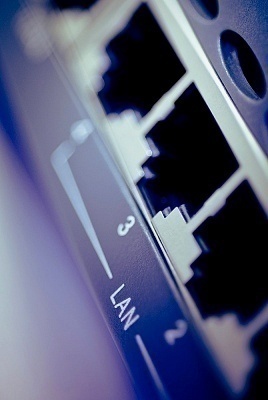 To increase the user’s range and connect to the network, the user can place a wireless range extender halfway between the router and the computer. 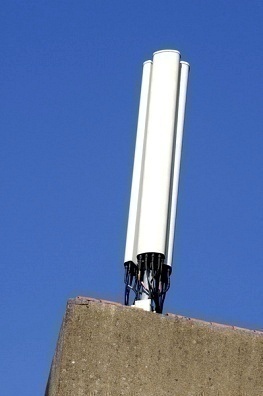 Wireless range extenders are able to intercept the wireless signal and rebroadcast it so that the network is essentially doubled in size. Wireless range extenders do not have to be physically connected to the access point in any way and should start working as soon as the user plugs it into a power supply. The Hawking Hi-Gain USB Wireless-G Dish Adapter is the most sophisticated wireless-G adapter on the market. It is able to increase the user’s network range by up to 300%. The Hawking Hi-Gain USB Wireless-G Dish Adapter connects into the computer’s USB port and it can transfer data at 108 mbps. As the device uses a dish antenna, the Hawking Hi-Gain USB Wireless-G Dish Adapter uses directional broadcasting rather than omni-directional broadcasting. Although this limits the user’s range to a specific area, it also means that the user can be further from the access point. The Hawking Hi-Gain HWREN1 Wireless-300N Range Extender is able to double the size of the user’s network by bouncing the signal from the router to the area that is receiving a poor wireless signal or no signal at all. The device is easy to use and includes a setup wizard that helps the user with the setup process. Essentially, the user simply plugs the device into a power source between the router and the computer, sets it up on the computer by using the Installation CD, and the device begins to search for a wireless network in range. Since the Wireless-N frequency is backwards compatible, the user should not have to worry about compatibility issues with other devices. is there any free softweare for improving wifi signal? 397 queries in 0.591 seconds.